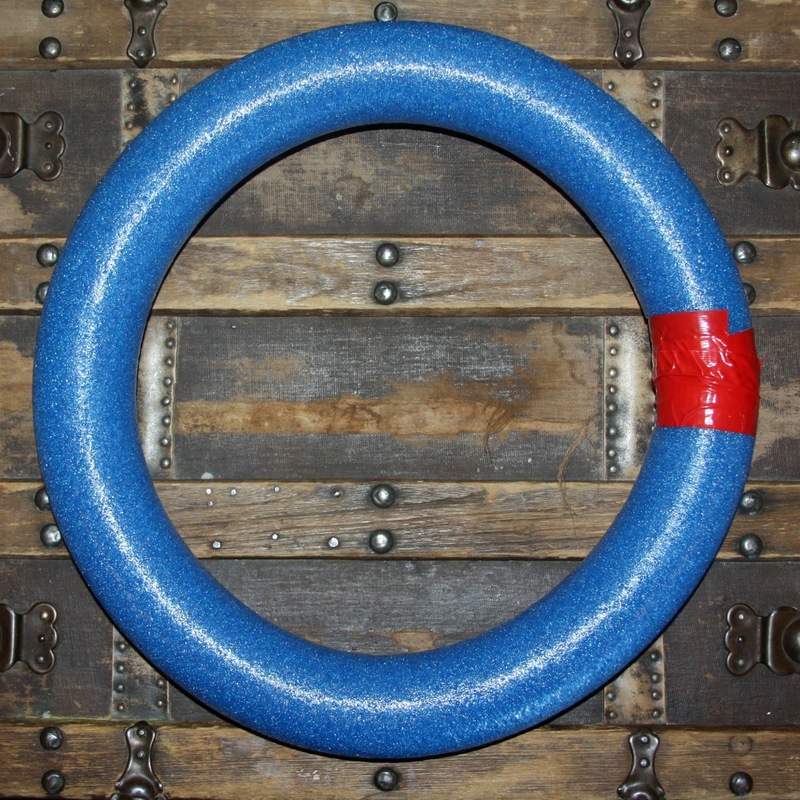 I bought a pool noodle to make this wreath and taped the ends together with duct tape. I didn't want the blue to show through so I then wrapped it with masking tape. 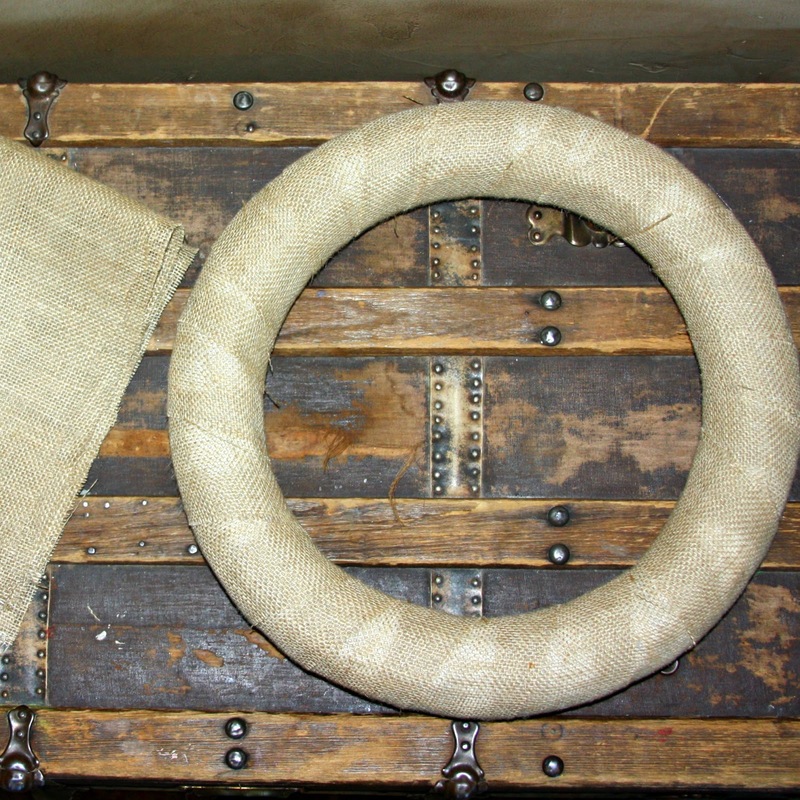 I bought a piece of burlap and cut it into large strips and then wrapped it around the noodle. 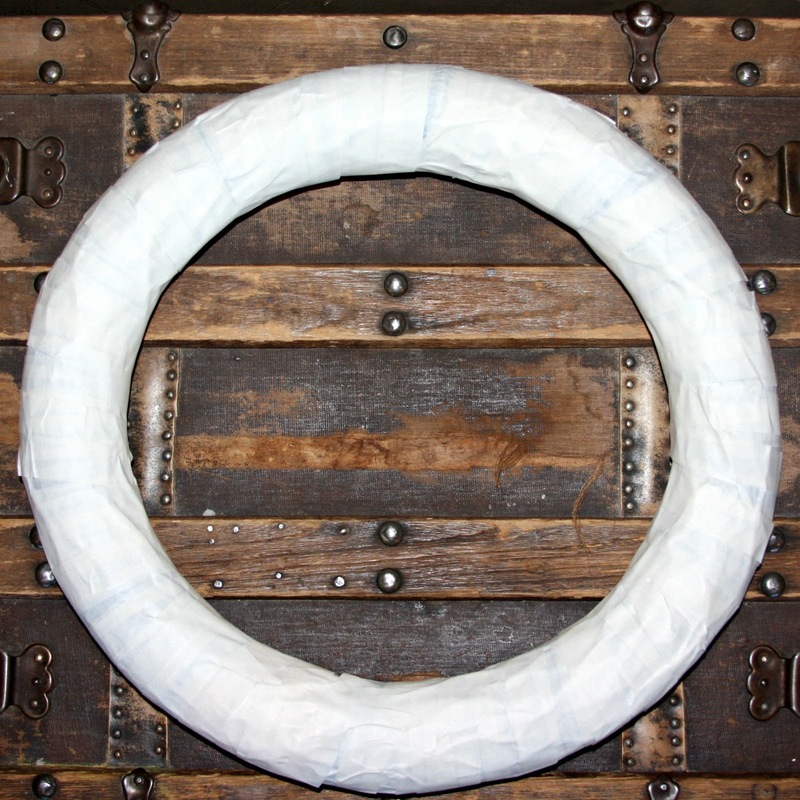 With each wrap I place a little hot glue on the back of the wreath to hold the burlap in place. The little yellow bird on the wreath was purchased at Michaels for $3. It comes unpainted so you can make it any color you would like. For the flowers, I used felt. I just googled felt flowers and you wouldn't believe how many fun flower tutorials you will find. I used hot glue to glue on the flowers and the bird. I would love for you to share your wreath with me when you are done! I think your color choice is great! The blue and burlap together remind me of the blue and ivory table runner I'm working on. I'm pinning this so that when I finish with my current project I can make a cheap new wreath for my door... I currently have a hearts wreath up from Valentine's Day which is pretty, but could be changed. Thanks Julie, and thank you for stopping by. 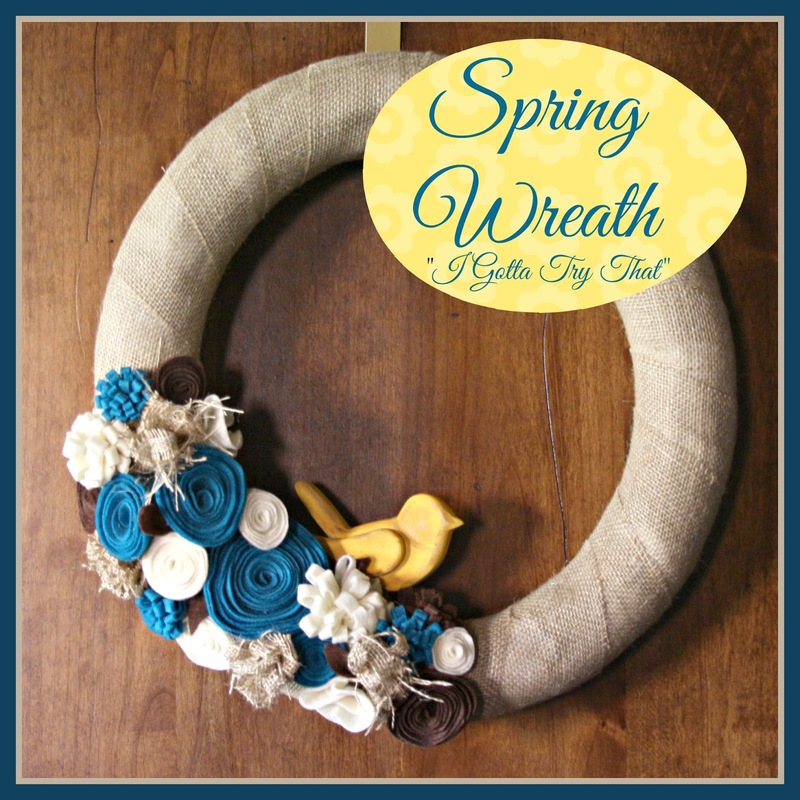 Love to see your new wreath when you get it done!